Reliever John Axford has been released from his minor-league deal with the Toronto Blue Jays, the team announced on Saturday. The move comes on the heels of Axford being diagnosed with a stress reaction in his right (throwing) elbow two days earlier. 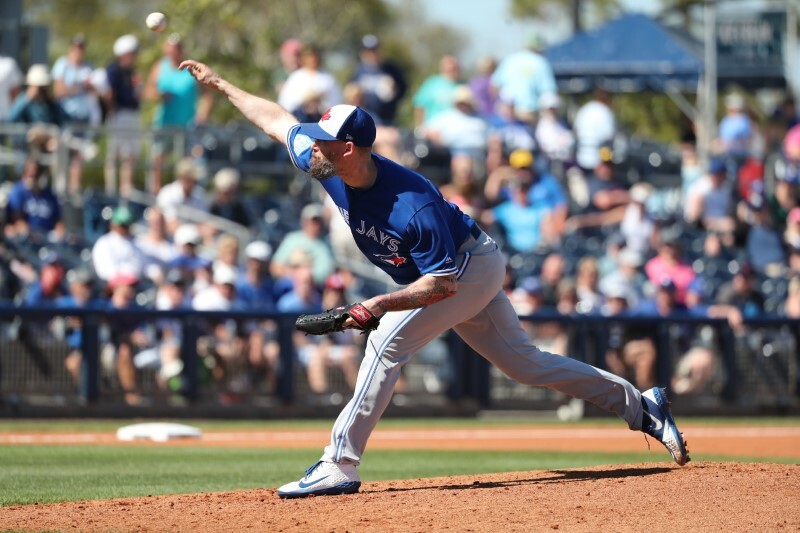 Axford, 35, was with Toronto for part of last season but was traded to the Los Angeles Dodgers in July. A 10-year veteran, Axford has pitched for eight teams and logged a 38-34 record with 144 saves and a 3.87 ERA. Axford, who is Canadian, was 4-1 with 50 strikeouts over 51 innings in his stint with Toronto last season. The Blue Jays also offered fellow righty reliever Bud Norris a $100,000 retention bonus to not opt out of his minor-league contract with the team. Norris, 34, has been dealing with arm injuries this spring.